Are you thinking about teaching My Father’s World Kindergarten? I know when choosing a curriculum, most moms like to see what others have done and their opinions on it. My Father’s World was the first curriculum I ever used with my oldest and I have fond memories from our gentle year of kindergarten. 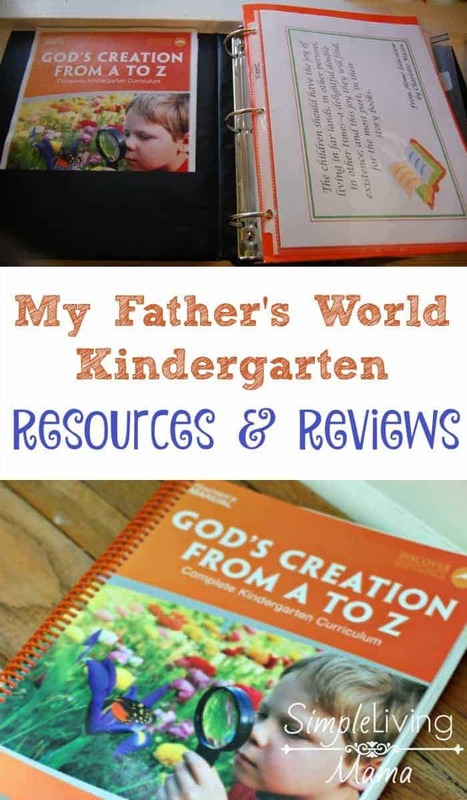 I decided to round up some amazing My Father’s World Kindergarten resources and reviews from other homeschool moms just like me and you. 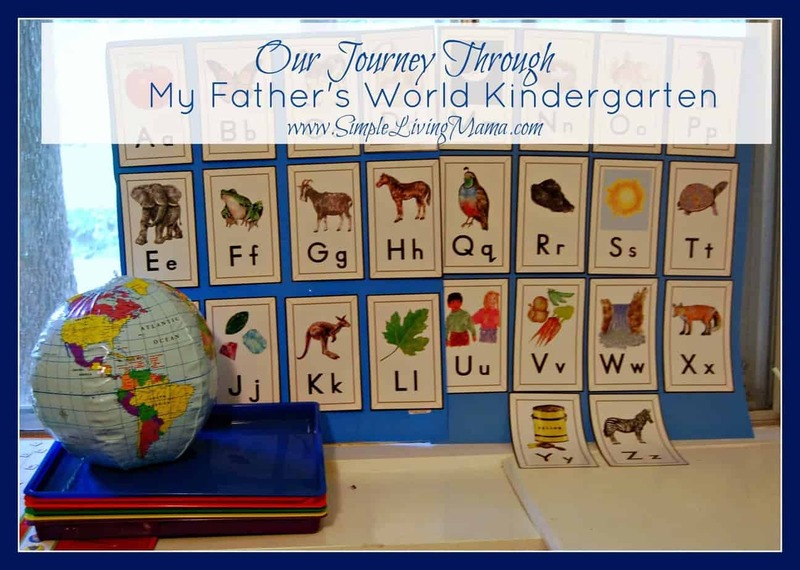 You can see our entire journey through My Father’s World Kindergarten in this post. I tried to blog our way through it. It was harder to keep up with than I thought, but I tried! I did supplement our curriculum. Here is everything I used to supplement My Father’s World Kindergarten. 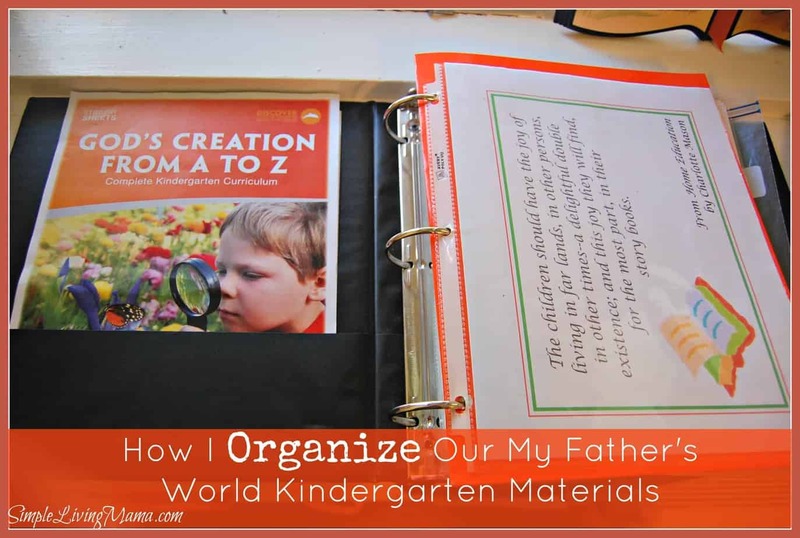 Here’s an entire post on how I organized My Father’s World Kindergarten. And my final My Father’s World Kindergarten review with video. What about resources for My Father’s World Kindergarten? There are some amazing groups on Facebook that you can request to join and ask questions of other moms who are going through the curriculum as the same time as you. The teacher’s manual has an amazing list of recommended books in the back that correlate with each unit. I suggest taking your manual to your library and picking out as many books as you can. I did end up purchasing a few books to keep in my home library, and we have continued to read those again and again. My Father’s World Kindergarten is an all in one kindergarten, so you don’t necessarily need to buy anything else to go with it! That’s the beauty of this curriculum. It is nice to have options, though, and make your homeschool your own!